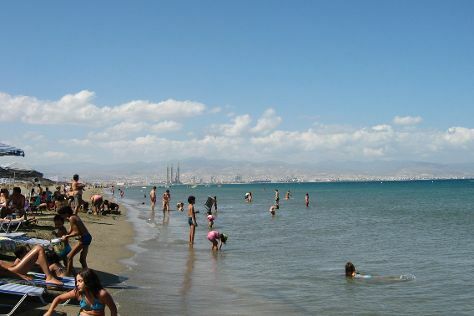 For reviews, ratings, traveler tips, and tourist information, use the Limassol trip planning website . Geneva, Switzerland to Limassol is an approximately 7.5-hour combination of flight and bus. You can also do a combination of flight and shuttle; or do a combination of train, bus, ferry, and car. Due to the time zone difference, you'll lose 1 hour traveling from Geneva to Limassol. Traveling from Geneva in November, expect nights in Limassol to be a bit warmer, around 16°C, while days are warmer, around 26°C. Wrap up your sightseeing on the 18th (Sun) to allow time to drive to Peyia. 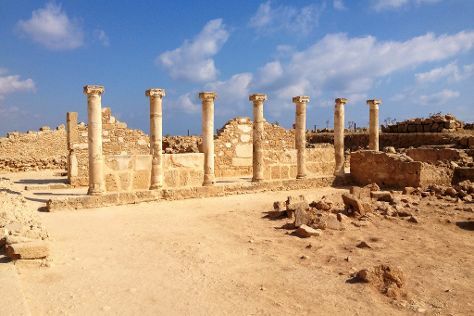 Start off your visit on the 19th (Mon): get interesting insight from Tours, go for a walk through Paphos Harbour and Port, explore the ancient world of The House of Dionysus, then delve into the distant past at Kato Paphos Archaeological Park, and finally look for gifts at The Little Shop. On the 20th (Tue), you'll have a packed day of sightseeing: stroll through Coral Bay, contemplate in the serene atmosphere at Panagia Chrysopolitissa Church, make a trip to Saint Paul's Pillar, then take in the architecture and atmosphere at Church of Agia Kyriaki and post St. Paul, and finally delve into the distant past at Tombs of the Kings. To see photos, where to stay, traveler tips, and tourist information, go to the Peyia visit planning website . Traveling by car from Limassol to Peyia takes 1.5 hours. Alternatively, you can do a combination of bus and car. November in Peyia sees daily highs of 27°C and lows of 16°C at night. Finish your sightseeing early on the 20th (Tue) so you can drive to Nicosia. Start off your visit on the 21st (Wed): discover the deep blue sea with a scuba or snorkeling tour, wander the streets of Ledra Street Crossing Point, and then admire the landmark architecture of Buyuk Han. Here are some ideas for day two: contemplate the waterfront views at Larnaka Salt Lake, then tour the pleasant surroundings at Mckenzie Beach, and then pause for some serene contemplation at Church of Saint Lazarus. To see more things to do, where to stay, maps, and tourist information, go to the Nicosia trip itinerary planning site . Getting from Peyia to Nicosia by car takes about 2.5 hours. Other options: do a combination of car and bus. Traveling from Peyia in November, Nicosia is a bit cooler at night with lows of 13°C. Finish your sightseeing early on the 22nd (Thu) to allow enough time to drive to Protaras. Kick off your visit on the 23rd (Fri): stroll through Nissi Beach, stroll through Landa Beach, and then make a trip to Sea Caves. Get ready for a full day of sightseeing on the next day: explore the activities along Ayia Napa Harbour and then take a tour by water with Boat Tours & Water Sports. To see maps, photos, traveler tips, and tourist information, read our Protaras journey planner . You can drive from Nicosia to Protaras in 1.5 hours. Another option is to take a bus. November in Protaras sees daily highs of 27°C and lows of 15°C at night. Cap off your sightseeing on the 24th (Sat) early enough to travel back home.